Patients and their families joined NHS staff and VIP guests to mark the opening of the new Children’s Research Space on Level 0, Balmoral Building, at Leicester Royal Infirmary on Wednesday 28 June 2017. Leicester Hospitals Charity “Reaching out for Kids Research Appeal” raised £30,000 for the new Children’s Research Space to provide state-of-the-art facilities for children - not only from Leicestershire and Rutland, but also from further afield - who take part in research within Leicester’s Hospitals. 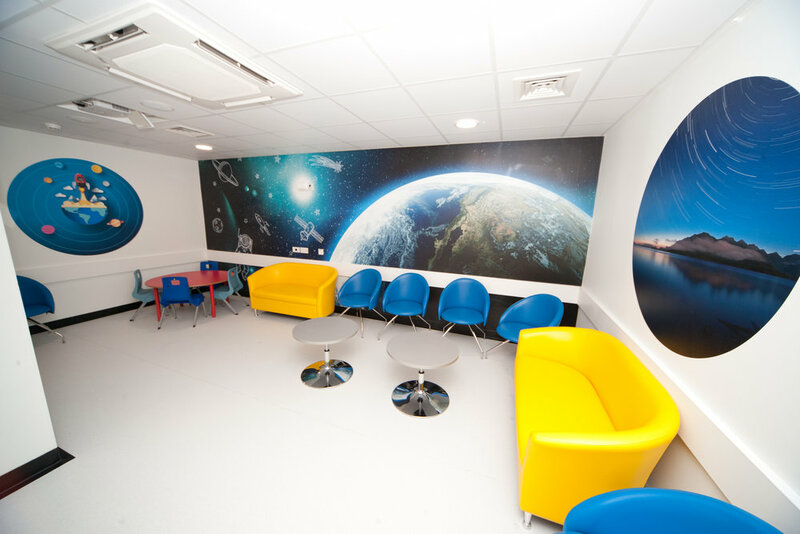 Features include: a sensory playroom, 3-D interactive screen; an interactive floor projection in the waiting area; and 3 clinical rooms complete with bright, child-friendly graphics. The Children’s Clinical Research Team, who themselves worked so hard to fundraise, the Genomes 100,000 Project and Leicester Hospitals Charity are so grateful to all our supporters and fundraisers who made this all possible. A special thank you goes to the Medicines for Children’s Research Network who donated £50,000, HSBC who donated £12,000 and volunteer time, Edith Murphy Foundation for its grant of £5,000, The Felicity Wilde Charitable Trust for its grant of £2,000, Maud Elkington Charitable Trust for its grant of £1000, P & C Hickinbotham Charitable Trust for its grant of £1,000, Waitrose Lutterworth and Oadby for donating £500 through its community matters scheme and Bill Richmond for his kind donation of £500. 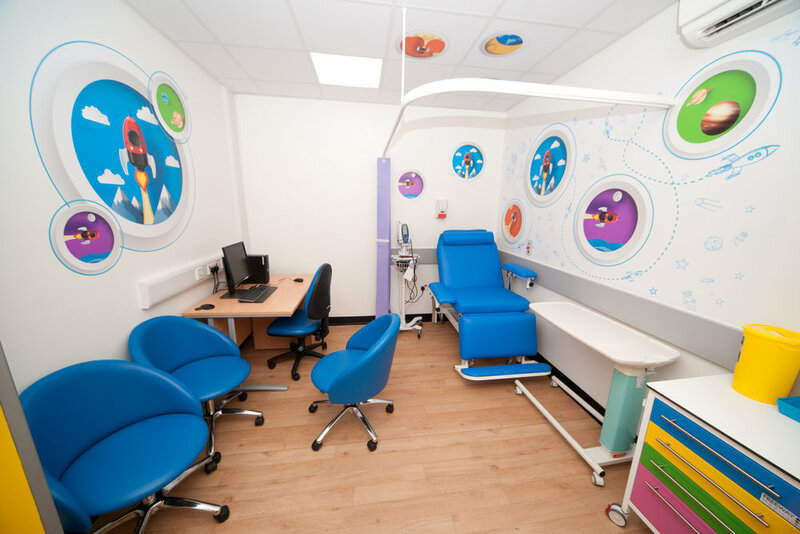 With the new Children’s Research Space, Leicester’s Hospitals will be able to offer even more opportunities for the children of Leicestershire, Rutland and beyond to participate in, and benefit from, some of the most cutting edge clinical research. Not only can this have a positive impact on the way their conditions are diagnosed, managed and treated, but gives hope for future generations to come. To all our supporters – you made this possible – thank you so much.